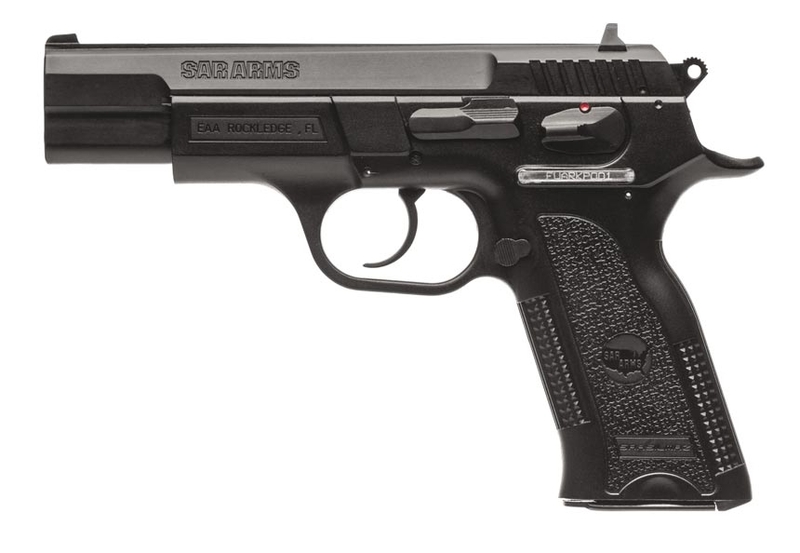 The SARARMS SRB6P Semi Auto Pistol is a modern reproduction with improvements on the world famous CZ75* design. First we took the frame and made it polymer and improved the ergonomics, next we used state of the art manufacturing technology to improve the quality, then we added state of the art material and material processing to give you the SARB6P that has the competition wondering. Available in compact or full size in blue steel upper or a stainless steel upper.